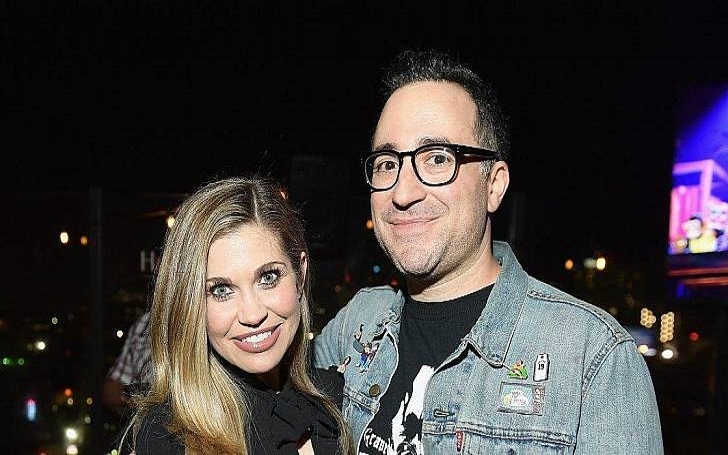 Congratulations are in order for Danielle Fishel and boyfriend Jensen Karp! The 36-year-old Boy Meets World actress is now engaged to the Drop the Mic executive producer, multiple sources have confirmed. The Girl Meets World took to Instagram on Thursday, March 22 to announce their engagement. The post features the adorable couple cozying up as the actress flaunted her stunning engagement ring. The Drop the Mic co-host, Hailey Baldwin, also shared the good news via Instagram story. We have a Drop the Mic engagement!!!!!! While it's not been revealed how long the duo have been dating, Jensen has been posting photos of Danielle on Instagram since last June. And back in November, the actress shared a video clip with a sweet post on Instagram in honor of her partner's birthday. I'm not fond of public happy birthday messages but you're my exception. With certainty I can say there's not a single person who knows you who wouldn’t say you've made his or her life better in some way. You encourage and motivate people to be the best version of themselves, partially because you've worked so hard on yourself and know the benefits of self improvement first-hand. Your intelligence and sense of humor are without rival and despite always having at least seventy-two plates spinning at a time, you don't take your stress out on anyone. Your dedication to never settling means you elevate every project on which you work/create and those who've worked with you know you're an entertainment industry unicorn: a clean, sane, genius. You value, appreciate, respect, and love your mother and father and speak of them fondly and with pride, never blaming, judging, or overly criticizing them. You support and express love for your friends easily and often, making you a true "best friend" to many. Brunch and Bill can’t cuddle you fast enough or long enough and it’s clear they know they hit the jackpot when you rescued them. You are my partner, the only man with whom I’d hold hands while he’s wearing socks and sandals, the brightest light in my life, the answer to a prayer, my biggest supporter, the power moons that fuel my ship, and the only proof I need to know I’m lucky. Special shout-out to Larry Karp and @haroldine for getting you here and raising you to be the MAN I am proud to call mine. Happy birthday, @Jensenclan88. As previously reported, Danielle married Tim Belusko in 2013, though the couple finalized their divorce in May 2016 after over two years of marriage.